Sprint Nextel CEO Dan Hesse is still hard at work outlying tactics to stop AT&T's proposed takeover of T-Mobile USA. Hesse has already tripled the amount of time he's spending on government affairs, testifying before Congress and making regular trips to Washington. He's also courting top technology CEOs to come out against the deal and sway public opinion, working to get as many as 18 state regulators to scrutinize the purchase, and strategizing other tactics he's not ready to disclose. Sprint is organizing industry opposition and recently filed a 377-page dissent with the Federal Communications Commission (FCC). The company's own engineers even made a point to show AT&T how to get more capacity from its wireless network so it wouldn't need to buy T-Mobile. "Clearly, purely, we want to win and block the merger," Hesse told Bloomberg during an interview at the company's Overland Park, Kansas headquarters. "This one poses real risks." Last week, AT&T declared that it was still on track to have its acquisition of T-Mobile approved by March 2012. 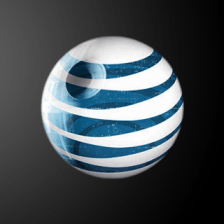 AT&T General Counsel Wayne Watts said the company provided a second round of information requested by the Justice Department and that meetings with the FCC were also going as scheduled. Furthermore, AT&T and Verizon Wireless would hold 79 percent of the US market if regulators approved the deal, leaving Sprint as an even weaker number three player in the US. Unsurprisingly, it is doing everything in its power to appeal the huge deal.